There are three books I’ve considered ‘honorary’ members of my Locus Quest reading list. In circumstances where books two and three of a trilogy are award winners, it seems only fair to read the first book in that series to understand the full story and context. Green Mars and Blue Mars are award winners – so I needed to read Red Mars, even though it wasn’t a winner. The Confusion and System of the World are award winners – so I needed to read Quicksilver, even though it wasn’t a winner. Startide Rising and The Uplift War are award winners – so I needed to read Sundiver, even though it wasn’t a winner. I wasn’t disappointed to read Red Mars or Quicksilver – they are both excellent books and essential parts of their series. 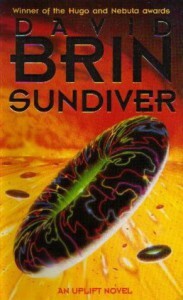 Sundiver is not: it’s not an excellent book, and it’s not an essential part of the series. I’ve since read Startide Rising and The Uplift War – Brin came up with a great concept and it’s an interesting series which definitely picks up after this patchy start. 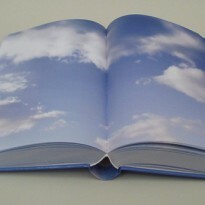 Each book basically stands alone; they’re set in the same universe in a linear timeline, but on different worlds and with different characters. Startide Rising and The Uplift War are at least causally linked - the events of Startide Rising lead, by political chain reaction, to the events of The Uplift War. The same cannot be said of Sundiver. Events here are mentioned briefly in the following books, but are basically irrelevant. As I said – the concept for the series is excellent. The universe is filled with hundreds of sentient species, each intent on ‘uplifting’ pre-sentient races into spacefaring civilisations. They’re rewarded for their efforts with prestige and a thousand year patron-client (master-slave) relationship with their newly uplifted underlings. Every species can trace their patrons’ patrons like aristocratic ancestry back into the mists of time. Humanity is the only known species to reach the stars without a patron, to have uplifted itself! We are the ‘wolflings’, the rogue state, the fresh meat, the loose cannons! The stage is set – it’s a great concept. What gives The Uplift Saga a bit of extra spice is that humans have clients of their own. They’re not fully uplifted yet, but before we discovered the galactic civilization waiting out there in the stars, humans have already been meddling with the genes of our most intelligent fellow Earthlings: chimps and dolphins are close to full, independent sentience. It’s this thread which pays huge dividends in the rest of the series – Startide Rising focuses on a starship crewed by dolphins and The Uplift War is set on a genuine planet of the apes (populated by chimps themselves trying to uplift gorillas). Sadly, these mighty oaks are still acorns in Sundiver – we briefly meet a semi-sentient dolphin at the start, and a genius (but pre-vocal chimp) is a significant character – but we’re still keeping mankind front and centre. This is basically a detective story. Something kooky is going down in the Sundiver Spacestation (where humans are flying special ships deep into the sun) and our hero, a sort of zen-psycho, is called in to investigate. He stumbles into some galactic political machinations (some jockeying for control over humans, some fighting amongst themselves and using us as pawns) which are muddying the waters around a research breakthrough regarding lifeforms residing in the outer layers of the sun. Still sounds good, doesn’t it? Sadly the execution feels dated and… silly. There’s no other word I can think of. Of course the humans outwitted the aliens, we’re just better, duh! The alien politics are a long way from Machiavellian and their behaviour kind of juvenile. Our hero is an oddball I never came to love. It’s not terrible – but it’s awfully blah. The rest of The Uplift Saga is better – do yourself a favour and skip Sundiver! Start with Startide Rising, you wont miss much.